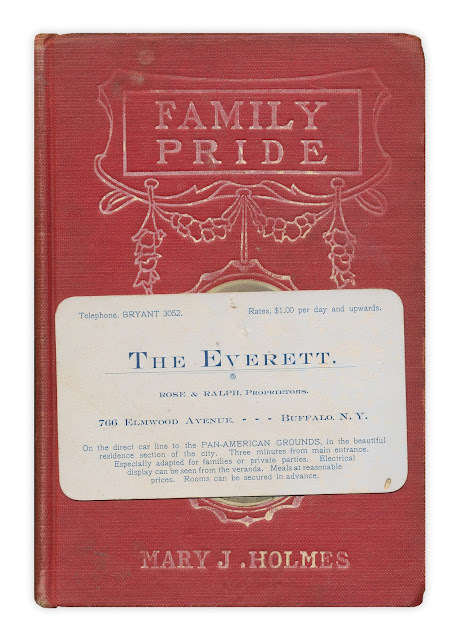 Advertisement card for "The Everett" - a hotel located at 766 Elmwood Avenue, Buffalo NY. Found in "Family Pride" by Mary J. Holmes. Published by Grosset and Dunlap, no date listed.